KowCast Ep 22 – Diamond Retailer Summit 2017 Recap – Kow Cast! Your Kowabunga Comics Podcast. 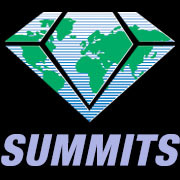 James and Eric take some time to recap the days events at the 2017 Diamond Retailer Summit, held at McCormick Place in Chicago, IL. We cover the news from various comic publishers, manga publishers, and creators. Some were highlights … some were not. Listen in to get our reaction and hear about a couple of new exciting products/publishers that caught our eye. As a surprise, we are joined by shop customer and friend Clint! Clint gives us insight into what it’s like anticipating going to your first big convention, as well as a few nuggets of how he got into comics, what he wants to do in the comic industry, and creators he is looking forward to meeting. KowCast Ep 23 – C2E2 2017 ReCap!